Tidal pools are a wonderful source of material for shooting macro photos. They offer life, texture, color, and mystery. Such shots can occur above, or below, the waterline. Often it is possible to shoot underwater images without an underwater camera or housing in tide pools, since they are very shallow, with a smooth surface. In other cases, the distortions of the water movement can add interesting effects to the images. 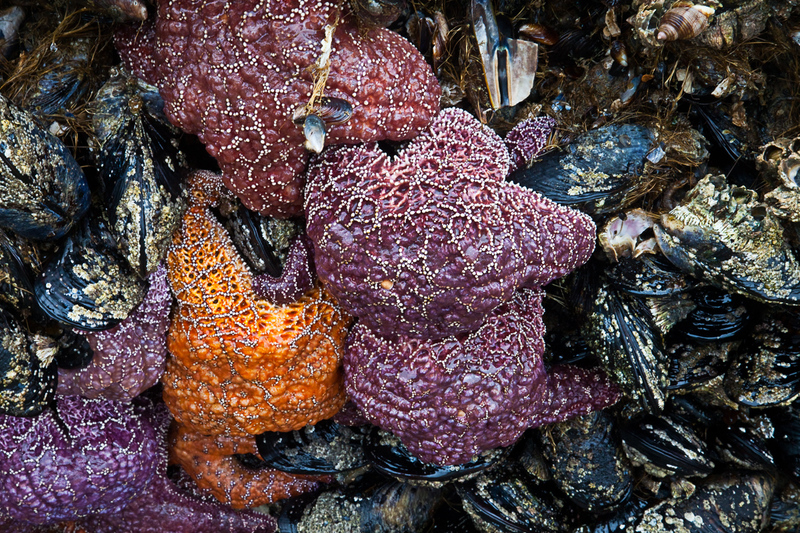 The first image below is all about detail and color, with the amazing pearl-strand-like details on the purple and orange starfish. 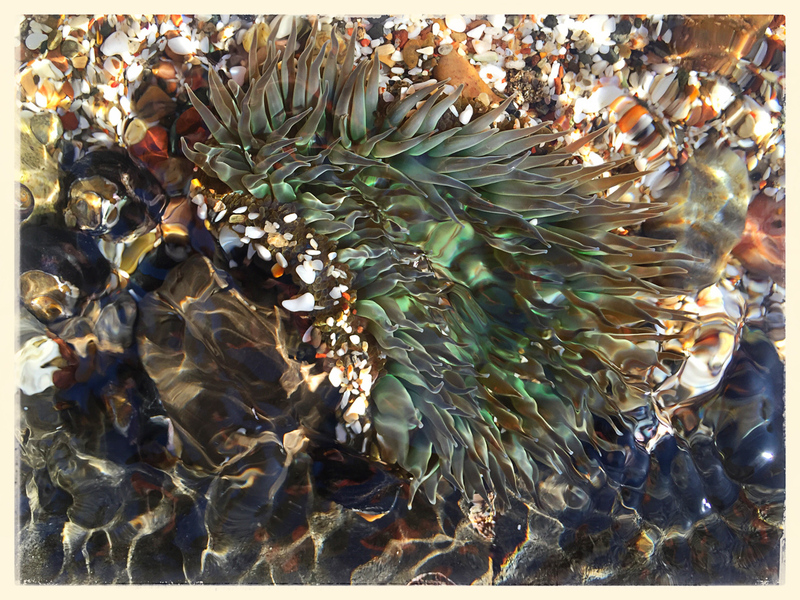 The second image has a smoother, dreamier quality, created by the surface of the water, which is relatively flat above the anemone, but more distorted in other areas of the image. Wildlife photography has its challenges, from the long lenses and tripods to the trees and grass between you and your subject. But deer, it turns out, have one unique issue, that will affect many of the images you hope might be a winner. 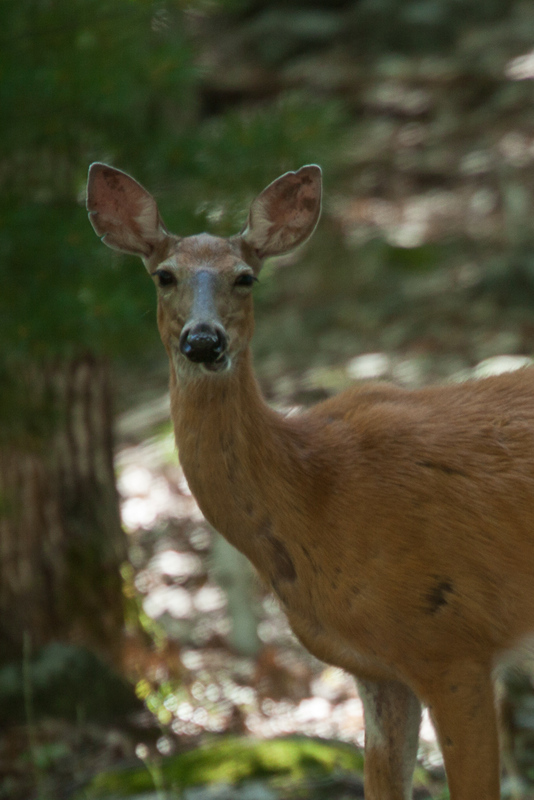 The problem, in simple terms, is that deer are made of rubber. Yes, you read that correctly. 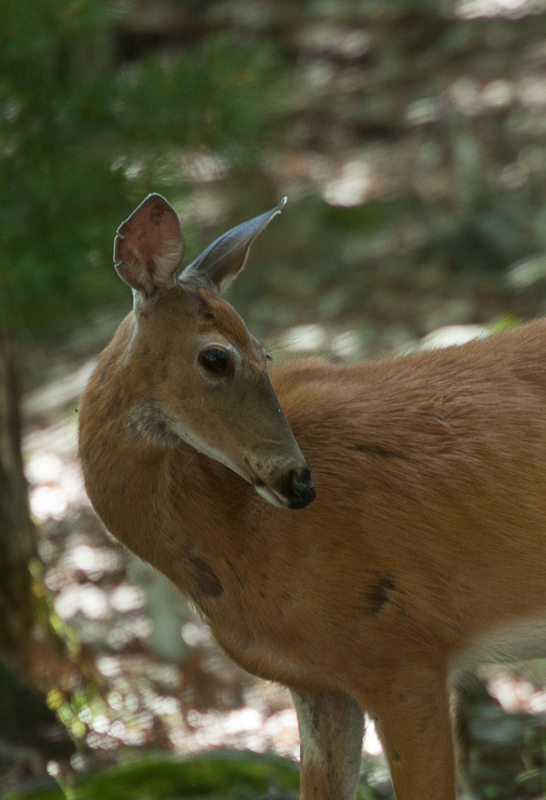 Exhibit A, above, shows the most common rubber deer issue: they chew side to side, and they chew most of the time. So unless you catch them exactly as their lower jaw passes under their upper jaw, you will get images like the one above. Note the one-eyed squint that tends to accompany the chewing motion. No danger of this image making the cover of Outdoor Photography. Our next rubber deer pose has to do with their amazingly supple necks. While having this doe look over her shoulder would not necessarily be a problem, having it appear that she caught her neck in a door would. Telephoto lenses amplify this problem. Another image hits the reject pile. 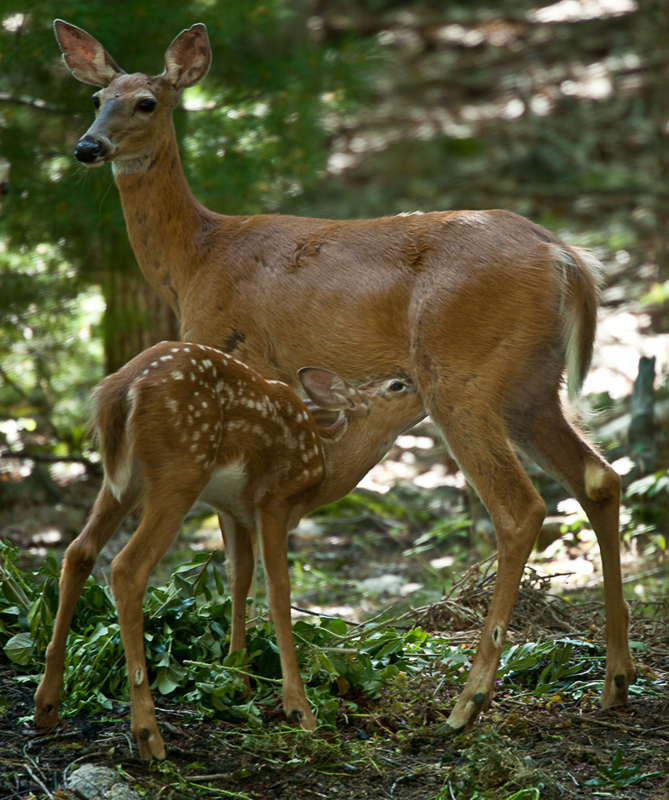 The next shot is of her fawn. While he may be as cute as Bambi, having his eyes closed, and his hoof in his face does not add up to a professional image. The only solution, is to keep shooting, and shooting, and hope that eventually everyone will have their eyes open at the same time. That should sounds familiar to wedding and event photographers. And finally, success! Here we have no squints, no spasms, and everyone is in a good position. 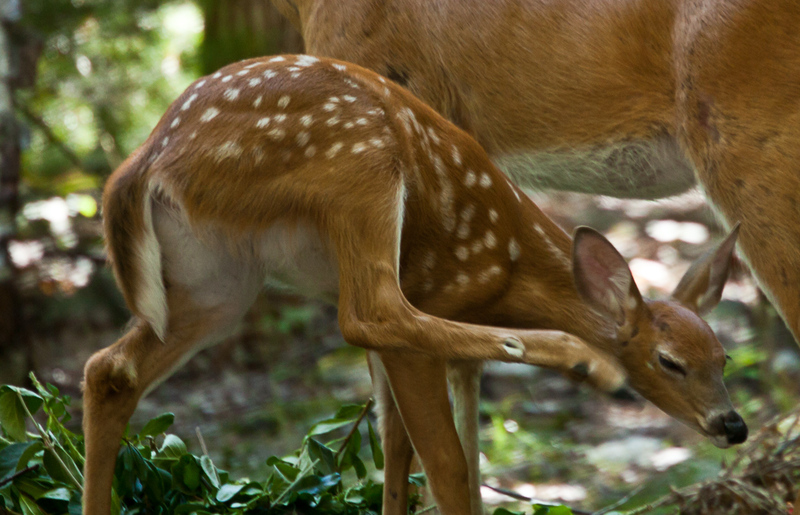 Hundreds of frames of this wild doe and her three fawns, and this is the only usable image to result from the encounter.